JULIA SPENCER-FLEMING: Kate Flora is a tiny woman with a giant presence in the world of crime fiction. Kate turned to writing after a career in the Maine Attorney General's office. Her books include seven “strong woman” Thea Kozak mysteries and three gritty police procedurals in her star-reviewed Joe Burgess series. 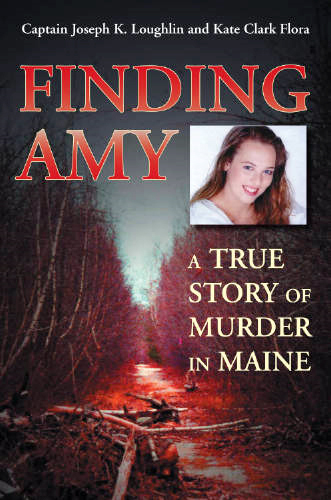 Her true crime, Finding Amy, has been optioned for a movie. She's a Goddess - a retired president of Sisters in Crime. She's one of the moving forces of the New England chapter of the Sisters in Crime. And she's a writer who continues to... dream. When I was growing up on a chicken farm in a small Maine town, money was often tight. Bill collectors really did knock on the door, sometimes the phone got turned off, and there was a large hole in the bathroom floor waiting for the money to get it fixed. We stapled plastic over the windows to keep out the drafts. We grew our own food and budgeted things down to the last cent. Our refuge was books. Books and the Sears and Roebuck catalogue. I decided to set practicing law aside and try my hand at writing mysteries when my younger son, Max, was born and I decided to be a stay-at-home mom. I bought a computer and began writing a law school mystery, A Matter of the Will. This week, Max got engaged. Next week, he turns thirty. I spent the first ten years of his life, and the first ten of my dedicated writing career, in the unpublished writer’s corner. My early years of delayed gratification, spent imagining and enjoying the possibilities, and to keep forging ahead without reward, served me well during those years. 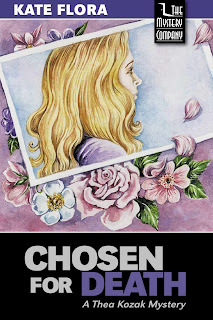 It’s nearly twenty years since my first Thea Kozak mystery, Chosen for Death, was published, and I am still finding that those early years of learning to enjoy the possibilities serve me well. In 2007, Finding Amy, the true crime book I co-wrote with Portland’s Deputy Chief Joseph K. Loughlin, was nominated for an Edgar. I woke to find my e-mail queue jammed with congratulations. It was a wonderful moment, and I got to have the months between learning of the nomination and the night of the Edgars to bask in the honor and enjoy the recognition of my peers. I never cared whether I won or lost, just like I really never cared whether I would get those clothes or that furniture from Sears. I got to enjoy the moments and feel the pleasure. A week ago, I got an e-mail from my friend Lea Wait, congratulating me on being a finalist for the Maine Literary Awards. A few minutes later, I got the official notice. 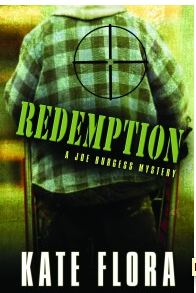 Redemption, the third book in my Portland, Maine police procedural series, was one of three finalists. Once again, I am enjoying the moment and appreciating the fact that my book has been recognized. I’m in very good company with fellow nominees Paul Doiron and Katherine Hall Page. Both of them my friends. Both excellent writers. But right now, I’m kind of wishing I could just skip the awards ceremony in Portland on May 30th, because I am enjoying the here and now. I’m enjoying the possibilities. The maybe a new line in my bio. Maybe a sticker to slap on the book jacket. I’m also enjoying the certainty—that a shy, bookish chicken farmer’s daughter from a small Maine town, who devoured books from the Vose Library and dreamed of being a writer, has become one. You can find out more about Kate and her books at her website. 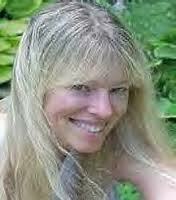 You can follow her on Twitter as @kateflora, and she also blogs at Maine Crime Writers. Aaah, the days of the Sears Catalogue . . . that brings back memories . . . .
We’re glad you’ve gotten to “enjoy the moments and feel the pleasure” . . . and we’ve gotten to enjoy your writing. Congratulations on the nomination for “Redemption” . . . .
Julia, thank you for introducing all these great Maine writers. Welcome, Amy. Thank you for sharing with us. I remember the excitement of the Sears catalogue, too. I will definitely add your books to my TBR list. Congratulations on the nomination for the Maine Literary Award. I'll be watching for the results. Brava, Kate! Such a well deserved award. I can't wait for the fourth Joe Burgess book - when can we expect it? JRs should know that Kate is one of my long-time writing mentors. Even as she rejected one of my short stories for a Level Best anthology way back when, she added a handwritten note to the form letter encouraging me to keep on writing, that she thought I was a good writer. That meant so much to me, and now look, my first book under my own name comes out in a few days! Kate, welcome to JR! Wonderful post--I had no idea you grew up on a chicken farm:). Wishing you all the best at the award ceremony--such stellar co-nominees! "shy, bookish chicken farmer’s daughter from a small Maine town" -- So I'm reading these words and trying to synch them with my impression of Kate who I would call confident, articulate, wordly and worldly... You've come a long way, baby! Joan, thanks for your good wishes. Still on the fence about how to enjoy that awards ceremony. Mostly, it will be fun because so many of my writing friends will be there. Oh, Jack and Hallie...you just don't know the lifelong effects of being the smart girl with her nose buried in a book. Seriously, though, one thing they don't tell you when you sit down to write your first book is that as soon as you're published, you're supposed to become an articulate, polished public speaker. Lucky for me, I've had Sisters in Crime, where the senior kids (Barbara Shapiro, for example) lead us newbies along. 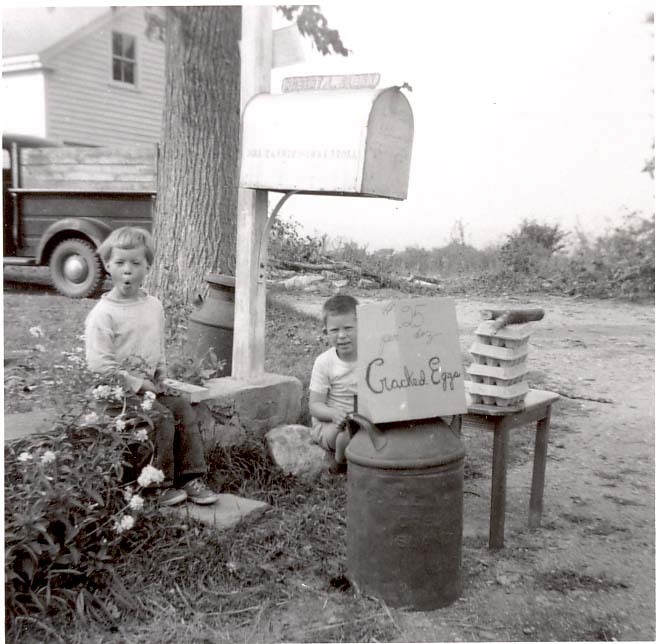 What a great story about your childhood and how that catalogue helped build dreams. Those big books were fun, with all the pages and pictures and things that we, as kids, could plan on having some day! By the way, I used to be one of those bill collectors...but I never went to a chicken farm to repo a car! Oh, Kate! I remember the moment I first met you--so clearly! At KAte Mattes' book store,at the Christmas party. I saw you across the room,and I thought--WOW (in caps, certainly) that is KATE FLORA! I know you are being beautifully introspective and grateful today, but don't foget the newbies who look up to YOU! I'm a newbie who was lucky enough to attend a panel featuring Kate Flora at Crime Bake. She is a stunner -- smart and fearless, hard-working and articulate. I too would get lost in the Sears catalog -- on the South Ohioville Rd. in New Paltz, NY. Maybe that was training for my shopping habits now -- Lands End all the way. 4-H is a great program. I wish it were more widely available. Thanks for this great post and for your books. Terry, luckily they never repo'd the truck. Otherwise, we would have missed out on an illicit pleasure that's no longer allowed--riding in the truck bed because there was no room in the cab once mom and dad and sister sara were there. Then we got a red ford station wagon and couldn't ride under blankets under the stars anymore. Denise Ann...loved 4-H. Later I was a junior leader. Went to state dress review. And once had to shampoo my sheep, Louisa Maine Apricot, to show her at the county fair. And where else but on a Maine farm could I have had a chicken hospital for victims of what truly was a "pecking" order. I haven't thought about the Sears catalog in years! I remember ogling the toys right before Christmas, dreaming of 100 gifts under the Christmas tree. Congratulations, Kate. I haven't read your books, but I plan too. I like what you said in a comment about SinC leading the newbies along. As a newbie myself (yep, me too, a decade later...debut novel coming, March 2014! ), I relish the imagining and also the wisdom and supportive from the senior kids. I love our writers community. Have you thought of e-publishing more of Kate Flora? I really loved that series. At one of my very first Malice Domestic conferences, a writer from Texas named Barbara Burnett Smith, who did corporate training as her day job, gave us a presentation on how to engage an audience. Something I took away from that and have used ever since was her advice to get out from behind the podium and not put something between yourself and your readers. Sisters in Crime has been so valuable for me. And I think it is very cool that our New England chapter has had three national presidents! Congrats on your book. People don't believe us when we say that persistence is a necessity in this business. All of the Thea Kozak books are available as e-books, and the Joe Burgess books are on their way. Finding Amy is also available, as is Steal Away, the stand alone suspense I wrote as Katharine Clark. And I'm working on a new Thea Kozak mystery, Death Warmed Over, right now. A sheep named Louisa Maine Apricot? that's priceless! did she mind the bath? sheep shampoo or herbal essence? One of the best things I learned (related to persistence): take the time, learn the craft--for as long as it takes. I learned a lot about public speaking from Kate. Some of the first appearances I made as a newbie author were Sisters in Crime panel discussions in Maine and Massachusetts. Kate was (and is) the consummate pro at these events: moving the conversation along, fielding questions, making sure everyone shares the spotlight, and, of course, her trademark gracious reminder to the audience that if they ENJOY reading, they need to SUPPORT authors by buying their books! Kate's reminder is still my closer when I moderate a panel. It also works well in today's ebook-challenged environment, to let folks know that if they want to see authors speaking in their town, they need to support their local bookstores and libraries. 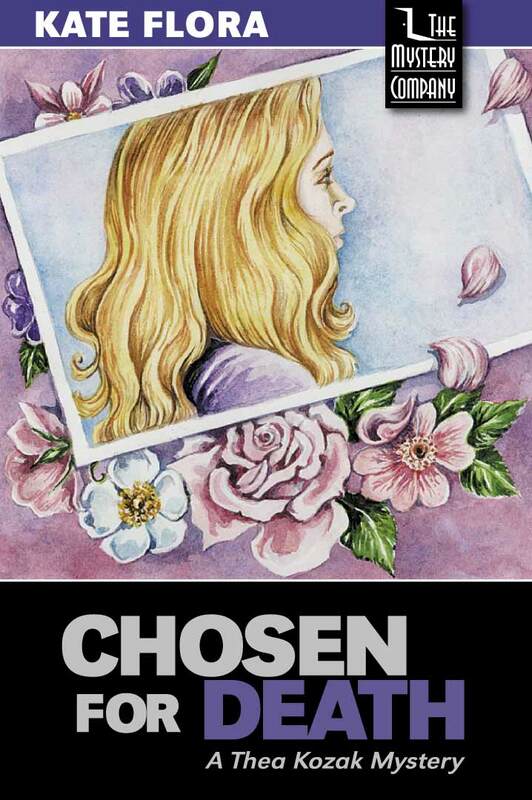 Congratulations on your nomination for the Maine Literary Award, Kate! That's definitely a super group to be listed with. I love Paul and Katherine and their books. One of the things I love about Jungle Reds is the way they introduce me to new-to-me writers who often become real favorites. I'm putting your books on my order list, and I have a feeling you will be added to that group that JR's brought into my life. Great post . Thank you for sharing.